Marketing any website, be it a personal blog or commercial site is a real challenge in 2017. Pretty much every niche is saturated in terms of competition and the chances of finding a niche that doesn’t include a whole host of big brands and major players is ridiculously slim. So all things considered, if you want to make your site a success, particularly SEO wise, you’re going to need to roll up your sleeves and be prepared for a serious amount of time and effort. But don’t let the above put you off. You don’t need to be the best site in the niche to generate traffic and you certainly don’t need to be the biggest. You just need to be smart in the way you go about it. Obviously your site and its content is going to be the key in determining your level of success. There is no room for trickery. You need a great site, even better content and a whole heap of (the right) knowledge to get going. But there are things you can do and tools you can use to assist you with all of that. 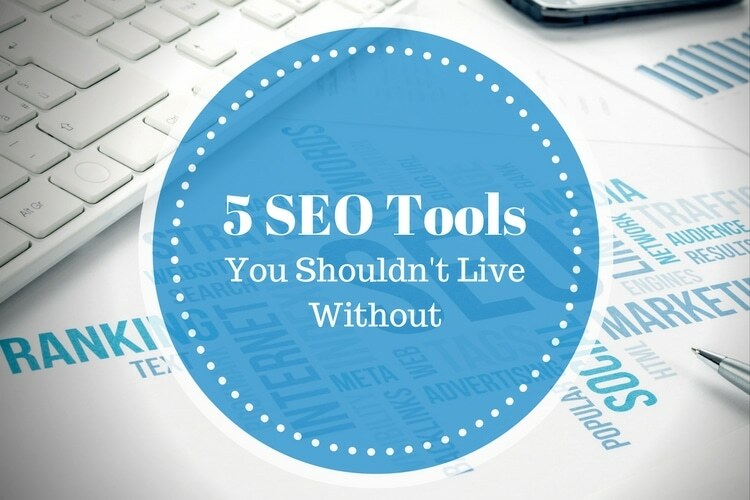 So below we’re going to run through what I consider the 5 SEO tools that no webmaster should live without. Whether you’re a first time blogger or you’ve been building and running websites for the past 10 years – you’ll find all of the tools and applications below a huge help. If you want to see where you’re ranking for all of your keywords (including ones you knew nothing about) then SEMRush is your go to application. It essentially is a database of every keyword imaginable (unless you go ridiculously long tail). 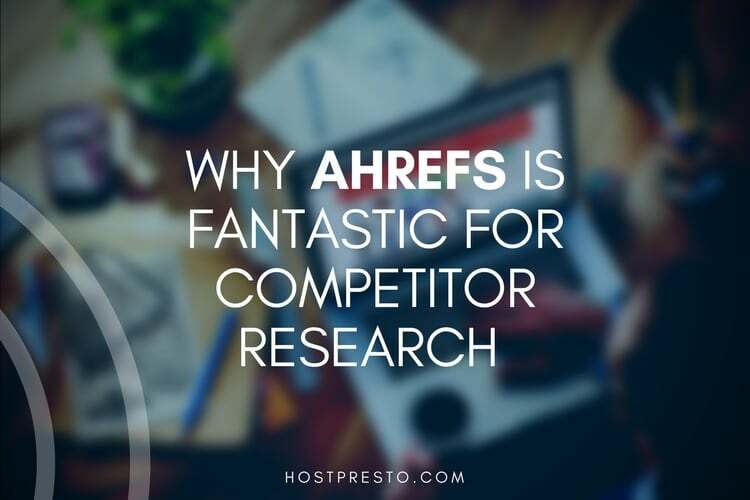 It monitors the search results in real time and can show you where your site or your competitors website is ranking for all keywords it finds you for. You can also see what percentage of your traffic comes from those individual keywords and how much those keywords would be worth if you were to bid on them via the likes of AdWords. You can also view this information historically and compare your current results to that of say one month ago which in turn gives a fantastic insight into your progress. SEMRush obviously doesn’t have access to your website so cannot get 100% accurate information. To function it estimates how many people search for a given keyword each month and estimates how much traffic you’re getting based on click through rates for given position numbers. It knows for example that 80% of people click the site in position one and 30% in position 2 etc. In all honesty it’s pretty damn accurate and can give you a great insight into what sort of traffic your competitors are receiving and via which sources. 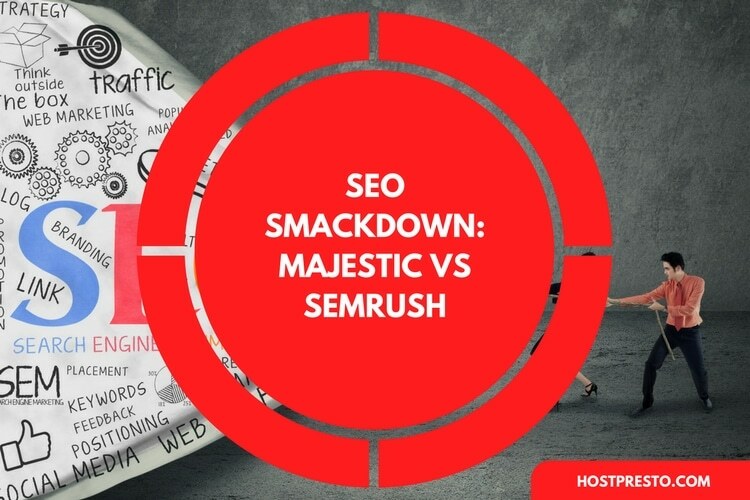 If you want to monitor the backlinks of your site (or your competitors) then you won’t go far wrong with Majestic. It has the largest database of links out there which are all compiled and easily sortable. You can quickly and easily find out which pages are linking you and from which referring domains. You can also find out new links which have been picked up and also links you’ve lost. All presented in a quick and easy format. You can also setup alerts to warn you of links you’ve built being removed and new links being added. 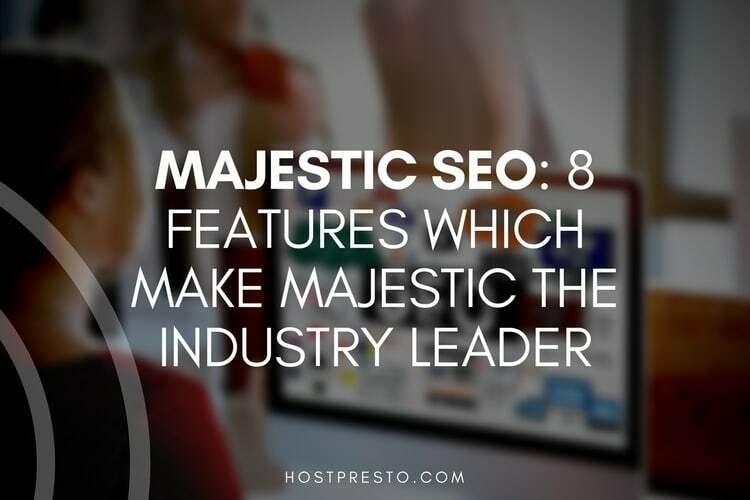 Majestic also makes it easy to see which keyword anchors are being used along with other SEO related metrics such as showing whether the link is no follow or do follow etc. It has such a detailed feature set but with all its bells and whistles but it’s the industry leading database of link data which makes Majestic what it is. Since Google closed the doors on its popular Keyword Planner tool (ok it’s not fully closed, but you know what I’m talking about) it’s been difficult for webmasters to find keywords to work into their content. Sure, most are obvious but with competition as rife as it is across the board it’s those long tail gems that yield the bulk of our traffic. But finding them was a challenge until Keywords Everywhere came along. Keywords Everywhere is an add on/extension/plugin for your browser than when enabled will show monthly figures for given keywords you search for along with their PPC price. So if you searched Google.co.uk for “blue widgets”, with the extension enabled you’ll get a notice above the SERPs with how many people search for it on a monthly basis. Not only that, you’ll also get a list of other related keywords that you can use for your long tail keyword sourcing efforts. Mozbar claims to be the industry leading “SEO Toolbar” and you can see why. Quite frankly it has too many features to list but in short it provides a great insight about the sites you’re visiting or those you find via the likes of Google. A quick Google search with the Mozbar enabled will show the search results as you’d expect but with the addition of important metric reports such as Domain Authority (DA), Page Authority (PA) and referring domain counts for each site in its listing. This is a great way to see how your own site is performing as well as that of your competitors. It can also greatly assist in your outreach efforts as you’ll instantly know which resources may well yield a valuable link and which might be worth avoiding. It also has some excellent “on page” features such as keyword highlighting and page overlay so you can quickly see hidden elements or tags in use. The more experienced amongst you will probably be wondering why I’ve chosen a third party analytics application such as Clicky over the ever-popular Google Analytics but I guess it’s just a matter of preference. I feel like GA can be somewhat overwhelming for new users and sometimes all you need to see is the information that truly matters. If you want a highly detailed but easy to follow traffic tracking application then Clicky is most definitely for you. You can easily see where your traffic is coming from, which search engine, which link along with detailed user metrics such as browser type, IP, time on page and URLs visited. You can also see by way of a percentage how your site is performing against the previous day/week etc. There are literally hundreds of tools on the market to assist in the marketing and SEO of your website. For example when it comes to monitoring backlinks, I could no doubt list 20+ applications which would all do the job – but some obviously do it better than others. There are also highly specific tools such as spider simulators and website header checkers and so on. But we’ll save all those for a later post. For now, the above list should be enough to get you started in your SEO efforts. The rest is up to you.